Ellen and Stuart Smith have been very active in the Rhode Island EDS Awareness and Support Group. They are educating and supporting those with this condition and their caregivers. By MELANIE THIBEAULT, Valley Breeze Staff Writer. Stuart and Ellen Lenox Smith, of Scituate. Ellen, 65, suffers from a painful connective tissue disorder called Ehlers-Danlos syndrome which is marked by a genetic defect in the connective tissue that provides support to many body parts such as skin, muscles, and ligaments. SCITUATE – Most of 65-year-old Ellen Lenox Smith’s day is spent managing a painful connective tissue disorder called Ehlers-Danlos syndrome, which causes her joints to slip and her bones to dislocate. “Our life revolves around Ellen’s treatment,” her husband, Stuart, told The Valley Breeze & Observer. “It’s really horrific to have it affect his life, too, and I can’t stop it,” said Ellen, who has had 22 surgeries since her diagnosis. Every morning, Smith says she takes medication to bring her blood pressure up so she doesn’t pass out. Then her husband helps her with physical therapy to put her shinbones back in place. She does core exercises, and three days a week, she goes to the pool to swim, assisted by her service dog Maggie, a black lab. Then she goes to physical therapy, which is important for strengthening her muscles, she says. After lunch, she takes a nap in her hospital bed at home. A bypass breathing machine helps regulate her air flow. Smith, a former 8th-grade history teacher, wasn’t diagnosed with Ehlers-Danlos syndrome, EDS, until she was 54 years old, but the Scituate resident says that she should have been diagnosed at birth. A prolapsed, or fallen, bladder eventually led to a visit to a geneticist, which is where Smith learned she had EDS. “Thrilled” to have an answer, Smith went online, only to read that the disorder is incurable. 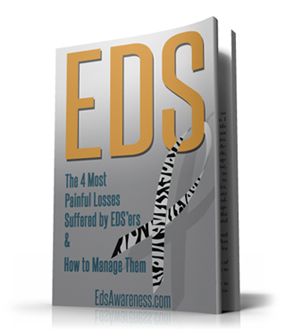 People with EDS have a genetic defect in their connective tissue that provides support to many body parts such as skin, muscles, and ligaments, according to the Ehlers-Danlos National Foundation’s website. They have fragile skin and unstable joints because of reduced amounts of collagen, the protein that adds strength and elasticity to connective tissue. Because she can’t metabolize opiate medications, Smith’s main form of pain relief is medical marijuana, which she makes into an oil since “smoking would be fatal,” she says. May is EDS awareness month, but since Ellen’s diagnosis, the Smiths have worked year-round to spread the word about the disorder, which they say isn’t well-known, even among doctors. Smith helps run an awareness and support group for people with EDS in Rhode Island, led by Krista Brack. The group meets at the Warwick Public Library. In May, Ellen said she will be speaking to physical therapy students at the University of Rhode Island. The couple, who have four grown sons and three grandsons, have spoken about EDS in the past with different groups, such as Brown University medical school students and R.I. Blue Cross nurses. Before being diagnosed, Smith said that she had been seriously hurt by physical therapists who were just trying to help, leading to a summer spent on crutches. 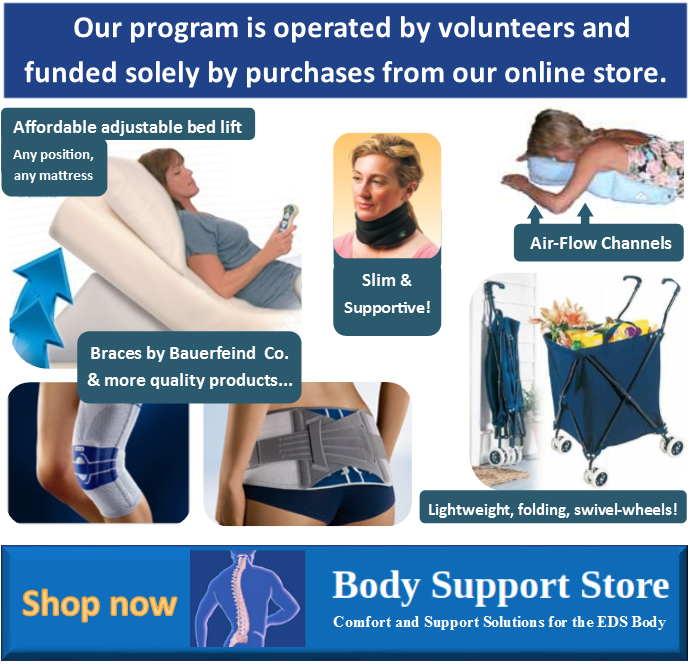 They even have a website where they post resources for EDS patients and their caregivers: www.ellenandstuartsmith.squarespace.com . Growing up, Smith said she didn’t realize anything was wrong, but looking back, there were some early signs, such as excessive bruising. “People become symptomatic at different stages of their life,” Stuart said. If someone is experiencing joints slipping, Smith said that should be a sign. She said the best thing to do is get to a geneticist and get diagnosed. 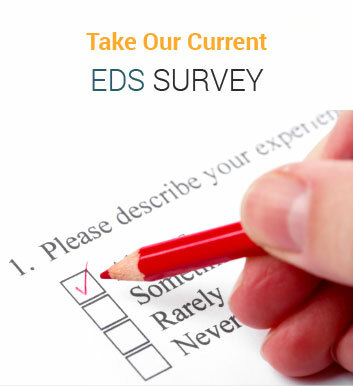 She added that people who suspect they might have EDS should be also evaluated by a neurologist. Ellen will be a speaker at the Ehlers-Danlos National Foundation Conference in Baltimore this August.